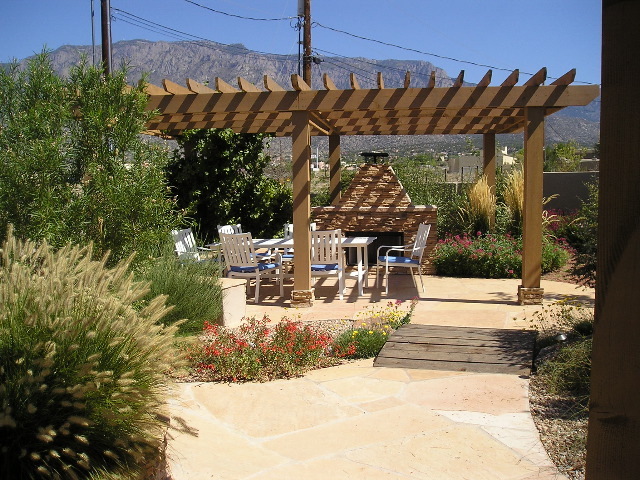 This project had a very small, walled-in backyard with a large, undeveloped area behind it. 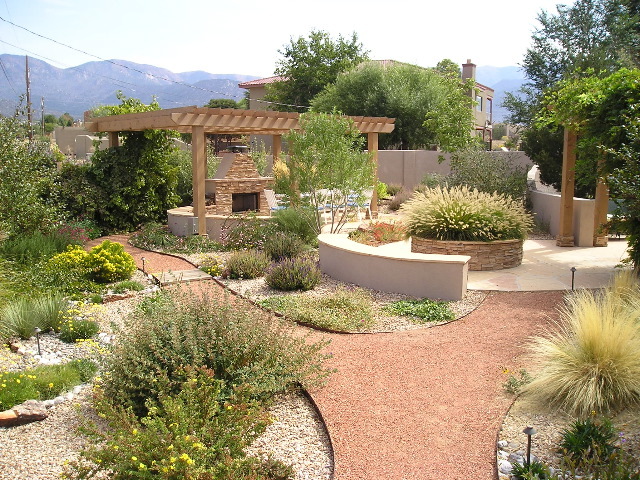 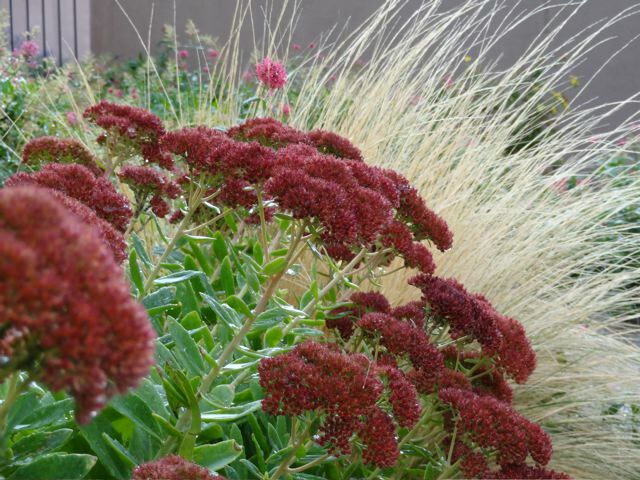 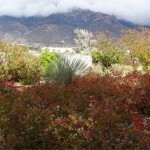 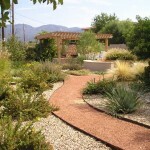 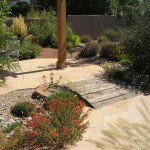 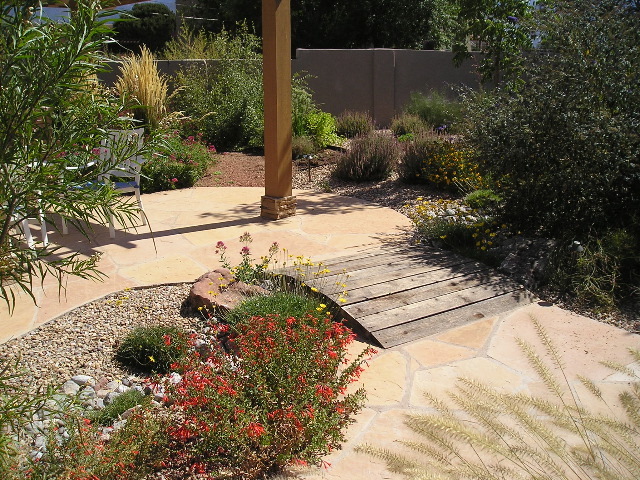 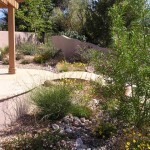 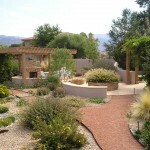 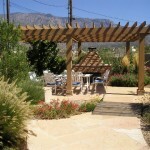 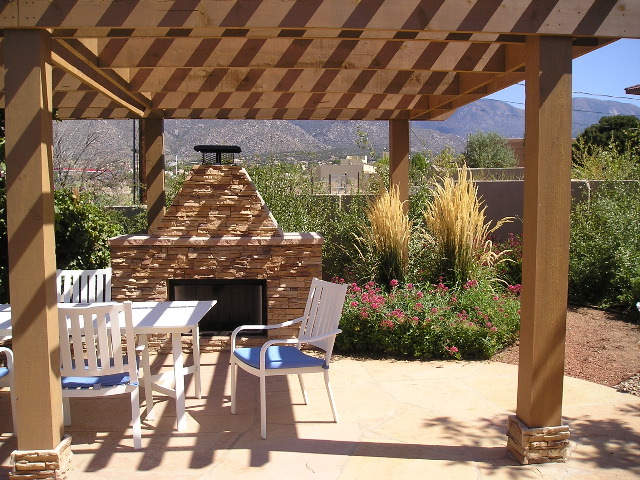 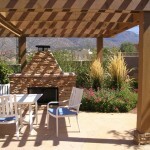 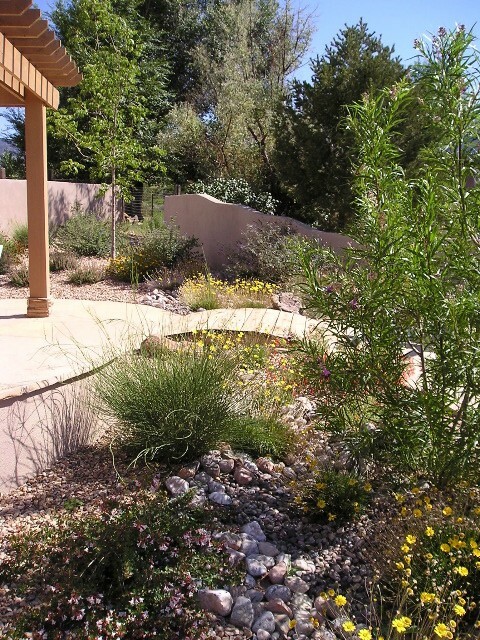 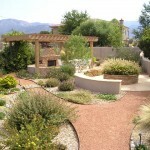 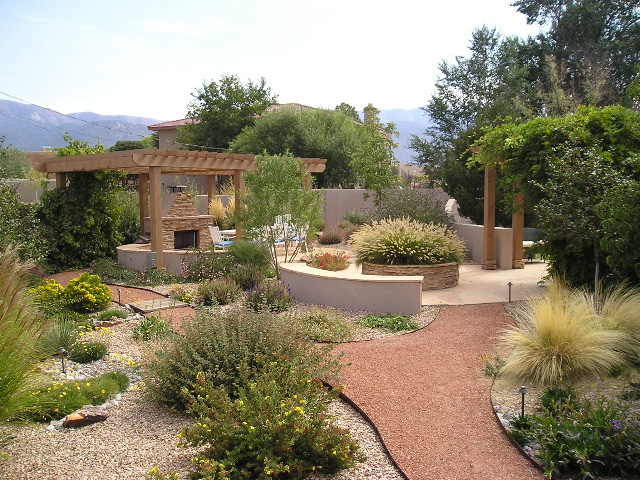 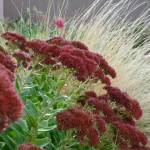 The owners wanted to extend their existing yard and make more use of their outdoor space. 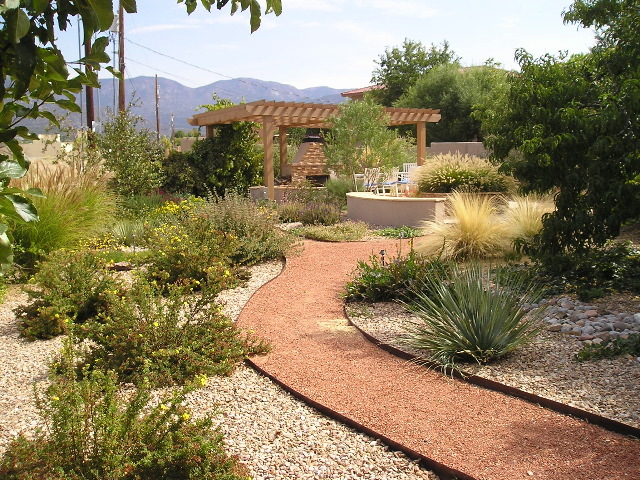 The result is a series of outdoor rooms that lead you around the space, allowing you to experience different things along the way, including a fireplace seating area, a herb garden, bancos, as well as bridges over an existing arroyo. 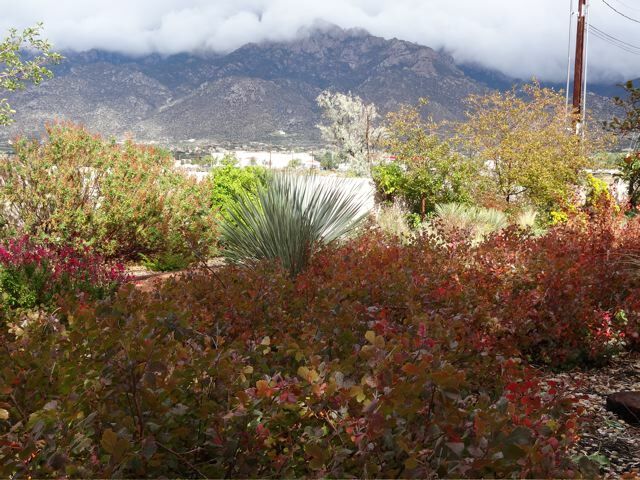 Wherever you are, there is a unique destination ahead of you to explore and discover.